In my monthly ezine, I will share ideas, hints and tips on how to make your garden a fabulous outdoor living space. Do you love all things gardening too? Have you just developed the gardening bug, or do you have a little experience? I'm sure you will find lots to help you along the way. Learn the secrets I use in my own garden, and when designing and building gardens for my clients. Simply fill in the form below to subcribe to the ezine, which will be sent to you automatically each month, and begin the process of creating the garden of your dreams! General garden design, including hard landscaping and planting. 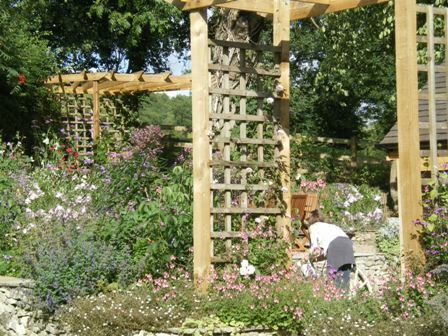 Tips on pergolas, arbours, decking, ponds, patios, lawns...Being creative - thinking outside the box! Which tools and materials to use to get the job done quickly and efficiently. 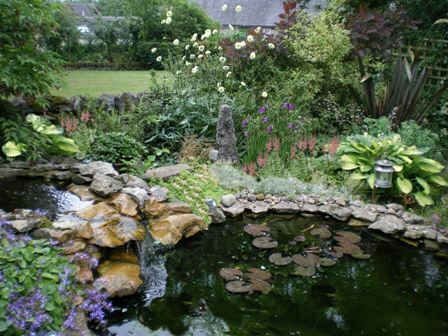 How to create wonderful planting schemes. Focus on particular plants or groups of plants to give a wonderful display. Different plants for different conditions. How to give your plants the best chance of success. 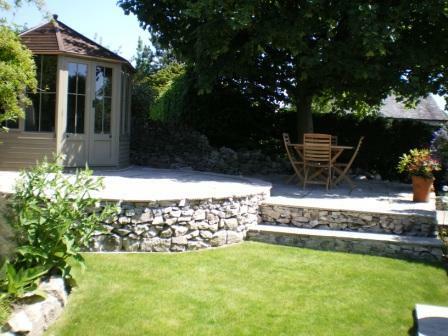 Ideas for accessories to make your garden a really cosy and inviting place to relax or entertain. Occasionally I receive exclusive voucher codes from various companies, which I will pass on to you, so that you can benefit from a great bargain too. Which means more to spend on other things! These might be, for example, tools, plants, turf, garden furniture and accesories: anything really! All you have to do is put the voucher code in, on checkout, and the amount is automatically discounted. Easy! The email will contain the link so that you can go straight to the product. These voucher codes are great if you are looking for a particular product at the time (I often get significant discounts, making a difference to overall costs!) Just take a look at those you may be interested in. Here's to our beautiful gardens! "I loved your ezine and as a new gardener with a gifted clematis found it very useful, I was a bit worried about the pruning but have now decided to just prune off any withered or unhealthy looking parts. I have not yet got a pergola as cash does not permit but will some time in the future have one and I look forward to 'clothing' it in beautiful climbers. I look forward to your next publication."